Montana's topography is dotted with a selection of rental cabins and like a Norman Rockwell painting - spending your time in a Montana cabin is likely to put a goofy expression on your face at one point or another. So do it. Plan your next journey, family vacation, or reunion to one of these cabins and take yourself back to a simpler time. From minimalist to extravagant, this site will help you navigate the state's inventory of cabins that are available to rent. Whether you are planning a back country adventure, are in need of a spot for a memorable family vacation, planning a fishing excursion or a special romantic weekend; here you can explore what Montana has to offer. Before you know it you will be decked out in your blue jeans, flannel shirt, sitting on the front porch of your Montana cabin and drinking your coffee from a thermos all the time wondering why it has taken you so long to take this vacation. 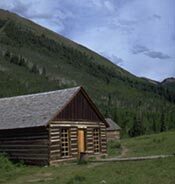 The source for over 250 cabin rentals throughout Montana.